An undercurrent of change is flowing through the Japanese motorcycle industry. It's a movement to provide alternatives to single-talent motorcycles, to build machines that are competent in many areas, motorcycles that utilize Japanese high tech while retaining the do-it-all nature of the much-heralded Universal Japanese Motorcycle of the 70's. Of the Big Four, Honda is clearly the trend's most ardent supporter. The Hawk GT, introduced last season, made an excellent, case for the high-tech, all-around motorcycle, offering buyers an aesthetically pleasing, fine-handling, quick and comfortable package. Though the Hawk sales have been less than spectacular, Honda feels the high-tech standard motorcycle is an odd-on future favorite. 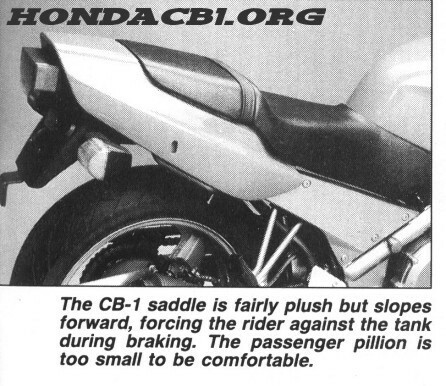 The CB-1 is the latest standard-spec machine to emerge from Honda's factories. It differs considerably from the Hawk in a mechanical sense, but there's no arguing that the two are conceptual siblings. Like the Hawk, Honda designed the CB-1 to be multi-talented. 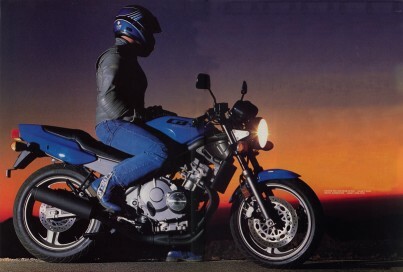 It had to be nimble and ridable enough for an across-town commute, comfortable enough for an occasional cross- state trek and, perhaps most important, had to offer power and handling nearly equal to its lone competitor in the 400cc four-cylinder class, Yamaha's agile FZR400. 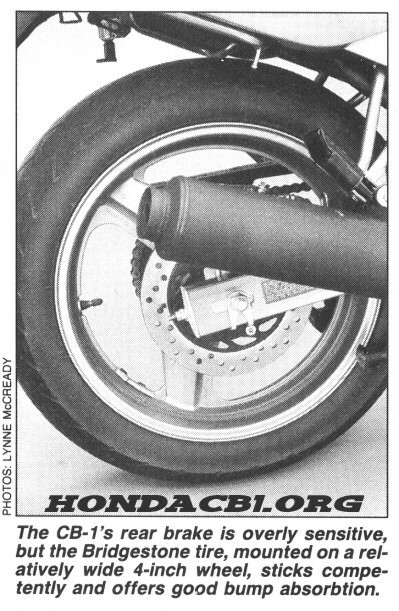 After all Honda calls the CB-1 "the best all around bike in its class," and to wrestle that title away from Yamaha, it had to provide more than simple comfort. Finding an engine for the bike was relatively easy. The CB-1 utilizes the same basic in-line engine found in Honda's Japanese-spec CBR400RR, currently the best selling 400cc sporter in Japan. Though it makes impressive power, the CBR RR engine makes the bulk of its oomph at ultrahigh rpm levels, a characteristic that Honda wanted to very much avoid with the CB-1. 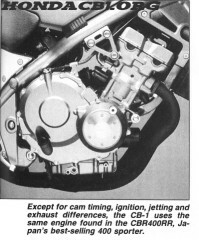 A remedy was close at hand, though; Honda engineers simply altered cam timing, carburation, ignition and exhaust to shift the engine's peak power toward the middle of the rev range. The CB-1 displaces 399cc via 55.0 and 42.0 mm bore and stroke numbers, using liquid- cooling to keep temperatures in check. It spins its double overhead cams with gears, rather than the chain system used in the FZR. Though expensive, gear-driven cam drive offers more consistent cam timing and is theoretically more durable at stratospheric rpm levels, though cam-chain failures these days are extremely rare. The cams push the CB-1's 16 valves through a direct shim-under-bucket setup that's bulletproof but somewhat time- consuming come valve-adjustment time. Compression is on the high side at 11.3:1, six speeds reside within the gearbox, a trouble-free digital ignition provides sparking power, and the clutch is cable-operated in the interest of simplicity and low cost. With its cylinder bank inclined forward at 30 degrees, the engine design allows nearly arrow-straight intake ports. A quartet of downdraft 32.5mm Keihin CVs breathing through a smallish 5.5-liter airbox provide intake charge, while a quiet, nicely tucked-in , one-piece exhaust system disposes of burned gasses. Honda's dynamometer pegs the CB-1's crankshaft horsepower at 57 at 10,500 rpm, only 2 horsepower less than the Japanese- spec CBR400RR engine. At the dragstrip our bike ran a corrected quarter-mile time of 13.26 seconds at 99.1 mph. That's roughly .4 seconds and a couple of mph slower than the 49 state FZR400, but the CB-1 does offer more mid-range power. The FZR's best roll-on was 68.2 mph; the CB-1 grunted through the traps at 71.6 mph. The efforts to re-focus the engine's power delivery without shriveling high-rpm power obviously worked well. Though Honda was able to utilize an existing design for the CB-1's engine, the frame came straight from the CAD/CAM screens at Honda's Asaka R&D center. Like the Hawk and any number of current sport bikes, the CB-1 utilizes a twin-beam-type frame that links steering head with swingarm pivot almost directly. But instead of expensive rectangularly shaped beams formed from welded aluminum or steel stampings, the CB-1 main beams are 42.7mm-OD round steel tubing. The round tube sections are practically as strong as similarly arrayed box-section beams, and though slightly heavier, they're easier - and subsequently cheaper - to produce. The engine acts as a stressed member and is hung from a pair of abbreviated, removable downtubes that anchor to engine mounts at the base of the cylinders. 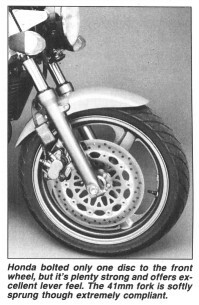 A fixed rear frame section supports the rider and the tailpiece-fender assembly, and the swingarm is fashioned from steel stampings. Though the CB-1's wheelbase is 30mm shorter than the FZR400's, the burly nonadjustable 41mm fork is angled at 25 degrees, a full degree more than Yamaha's 36mm tubes. 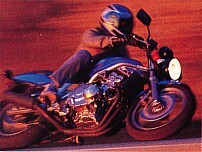 The CB-1 front end also carries 9mm more trail than the Yamaha. In back, a nonprogressive linkage and single damper handle suspension duties, and as on the Hawk and CBR600, the shock lies at a 45-degree angle. 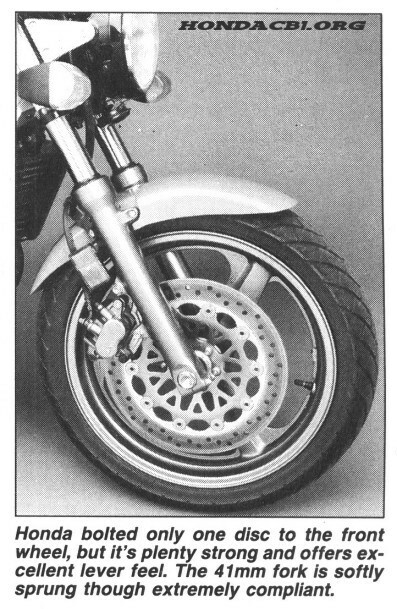 Like the FZR, the CB-1 uses big-league-size, three-spoke aluminum wheels, a 3-incher up front and a 4-incher in back. Bridgestone Excedras are mounted, a 110/70-17 front along with a 140/60-17 rear skin. The front binder is similarly hefty, though only one disc is used; the unit uses a 310mm floating rotor and a dual-piston, single-action caliper. To the rear, a single-piston caliper works a 240mm disc. 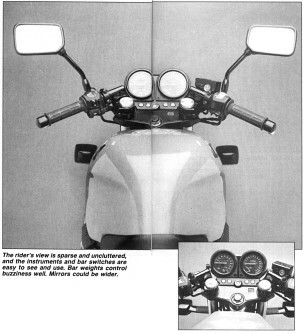 Intent on making the CB-1 comfortable, Honda designers blessed the bike with real-world ergonomics. The seat-peg-bar relationship is much like the Hawk's and strikes a fine balance between a sporting crouch and a sit-up posture. 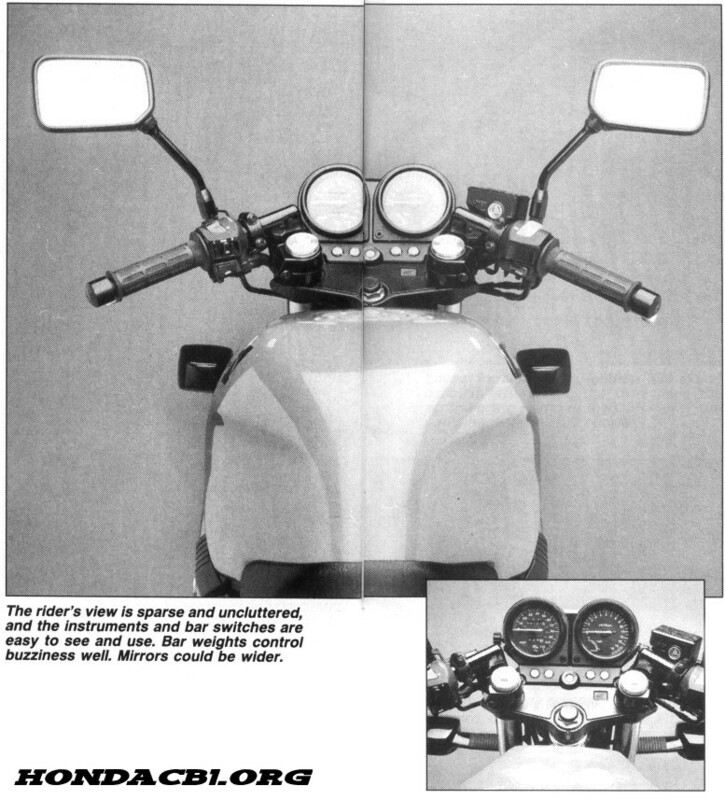 Honda's placement of the clip-ons above the top triple clamp ensures that the rider's wrists don't carry too much weight, and seat-to-peg distance seems plentiful. Even our tallest (6-foot-four) staffer found the bike's riding position only slightly cramped. Control feel is light and positive-typical Honda. The instruments, a pair of round pods, are simple and easy to read. A coolant-temperature gauge hides on the tachometer's face, and a row of easy-to-notice turn-signal and idiot lights lie just beneath the speedo and tach. Our particular test bike was a California model and a hesitant starter. On cold mornings our CB-1 needed two or three minutes of warm-up before it could be ridden away without the bar-mounted enricher. Warmer days were less of a problem; 49 state machines might be better off. Once warm, however, the CB-1 carburets and runs well. Throttle response is crisp, and we could detect only a slight amount of off-idle leanness. Once underway, the CB-1 is instantly familiar. Its relatively light weight (424 pounds wet), low seat height, light, neutral steering, superb control feel and progressive clutch engagement allow simple getaways, even for beginners. Surprisingly positive, smooth shifting and adequate low-end and midrange power propel the bike up to speed fairly quickly. The seats of our pants tell us the CB-1 has more low-end than the FZR, and for around-town riding, that's great. The CB-1 offers a surprisingly comfortable ride at speed. A CBR1000 it's not, but for an unfaired 400cc motorcycle, the ride is pleasant. Though the engine is solidly mounted and has no internal balancer, vibration is well muted at lower rpm levels. Not until the tach reaches the 8000 to 9000 rpm zone does buzzinness begin to creep into the pegs, bars and seat, and even then it doesn't spoil the ride. The CB-1 is smooth compared to the buzzy FZR. Softly sprung, compliant suspension bits help, too. The stout Showa-built 41mm fork and damper assembly do a fine job of isolating pavement irregularities, and though they lack sufficient damping for all-out back-road assaults, the ride they provide on the freeway and during less aggressive rides is superb. The seat is also well above average. 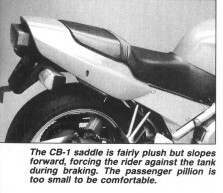 Much like the Hawk saddle, the CB-1's seat is well shaped and fairly flat, and while it slopes forward into the tank slightly, there's enough room on board to move around and get comfortable. Weekend trips, even two-up, aren't out of the question on the CB-1, though the bike's smallish fuel capacity will force frequent stops. Over and above the bike's relatively short gearing (the tach registers a frantic 7500 rpm at an indicated 65 mph), its lack of fairing is most detrimental to its road manners. There's little problem at slower speeds, but you may wish for some wind protection on the freeway or during a fast blast down your favorite back road. When straight-road boredom settles in and the need to corner turns urgent, the CB-1 is up to the task. Not unlike a 600 Ninja,, steering is light and quick at speed, and a jab of clip-on pressure initiates roll response immediately. The softly sprung suspension is short on rebound damping and takes a second or two to settle into cornering mode, but unless the pavement is severely rutted or the rider is rough with the throttle and barking inputs, the bike remains largely unruffled. The Bridgestones stick adequately, and though they don't offer the confidence or feedback of premium rubber, they're well worth using until they wear thin. Even with the bike's semilow footpegs and handy centerstand (hooraaaay! ), cornering clearance is plentiful. Much of the bike's back-road ability stems from its engine. As you'd expect, the majority of power isn't available until the tach reaches skyward, though unlike the FZR, which is unwilling until roughly 10,000 rpm, the CB-1 begins making decent power at around 7 grand. From there power is constant up to the 12,000-rpm point, where it seems to level off as it approaches the 13,500-rpm redline. There are handling problems, however, which show up clearly at the limit. The CB-1's short wheelbase, soft suspension and quick steering manners conspire to produce a somewhat unstable cornering platform at higher velocities. The lone disc up front is highly effective, providing plenty of power and lever feel, though it tends to upset chassis equilibrium when used aggressively because of the short wheelbase and soft fork. A strong lever squeeze results in instant weight transfer to the front end, and the fork springs just can't handle the load. The front bottoms, the rear gets light, and the hobbyhorse effect blows stability right out the window. Mid-corner bumps are also a problem, since the suspension parts already have their hands full dealing with the cornering loads. But being overly critical of the CB-1's performance at the limit is neither realistic nor fair. Honda built the CB-1 to be an all-around sporting machine, and the fact that it's capable at eight-tenths in the twisties is high praise considering its all-round abilities. Our staff gave the CB-1 high marks for aesthetics. The minimal bodywork lends the bike an understated, mechanical look, and the metallic-gray chassis and engine contrast nicely with the CB-1's electric-blue tank, fender and tail section. The headlight, bar assembly and other details are finished with a glossy black paint that blends well with the gray and blue paint screen. Other details are similarly well thought-out. Bar switches are ergonomically superb, the helmet lock is simple to use, reaching the rear-shock preload collar and fuel petcock is easy. The mirrors, conversely, vibrate slightly and aren't quite wide enough, and the horn is typically pitiful. Despite the somewhat high price tag, expected to be in the neighborhood of $4500, Honda has produced a winner. The CB-1 is comfortable enough for casual touring, nimble and user-friendly enough for commuting and plenty capable for sporting use. Yamaha's FZR400 will undoubtedly lead Honda through a set of corners, but the CB-1 outperforms it in traffic, the open road and sheer versatility. 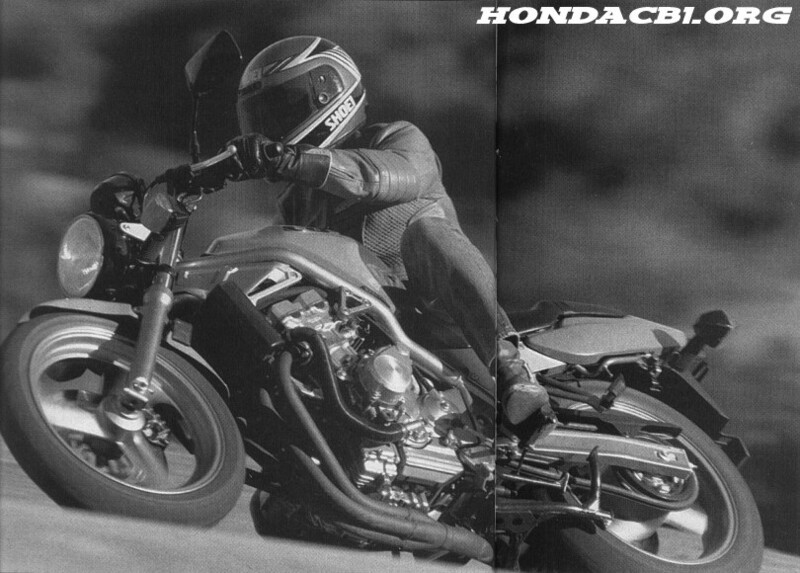 Honda's claim that the CB-1 is the "best all- around bike in its class" is right on target. Honda must have the blueprint for my personal pleasure sensors. As scary as it sounds, I've been tickled by all the latest trio of small Honda's that we've tested. The Hawk GT, GB500 and now the CB-1 fit my 5-foot 10-inch frame, cater to riders with a penchant for cornering and come in packages pleasing to the eye. The CB-1 steers wonderfully, relying on its light weight to keep the steering effort equal to the strength needed to fluff a pillow. The power is doled out in a much different way than the Hawk GT's delivery, but the two bikes run bar to bar in most situations and provide enough urge to keep my interest on all but the fastest roads. I've questioned Honda's pricing in the past, and still believe the GB500 is overpriced. At roughly $4500, the CB-1 offers more performance and versatility (it has two seats) than Honda's nostalgic thumper, placing this 400 ahead of the 500 in my book. In the final tally, Honda's middleweights may be expensive, but they're also very good motorcycles. I must like this thing-it helped me get my first traffic ticket in years. It doesn't really fit my motorcycling image, though; a big guy like myself on a 400cc street bike is about like Divine shopping in the junior petite section. But it sure works. I rode the CB-1 over to Mitch "The Butcher" Boehm's this morning, and traded it for a Suzuki 600 Katana. As I rode away on the Suzook, I found myself thinking: "What a huge tank this thing is." Now a 600 Katana is a quick, nifty little machine in the grand scheme of things, but that slick little CB-1 made it feel like a Venture Royale. You may think you like bigger, faster motorcycles. But before you decide for sure, you owe it to yourself to climb on a CB-1. Finally, a 400 for the rest of us. So the CB-1 doesn't quite stop, go or steer with the light- saber precision of Yamaha's little FZR. So what? Admittedly a bit less capable in all-out attack mode or on the racetrack, the CB with its survivable ergonomics, punchier midrange and compliant suspension makes a better sporting street weapon for the masses. Some simpering motojournalistic milque toads will whine about the lack of a fairing, but this is a motorcycle, sports fans, not the Beverly Hilton. Give me the CB-1 with some sticky premium rubber and the afternoon off, and all will be well with the world.